Alan Borg. 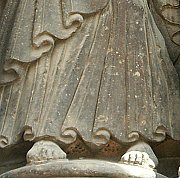 Architectural Sculpture in Romanesque Provence. Oxford: Clarendon Press, 1972. Kenneth John Conant. 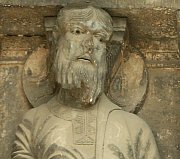 Carolingian and Romanesque Architecture: 800-1200. New York: Penguin, 1959; 1978. Carra Ferguson O'Meara. 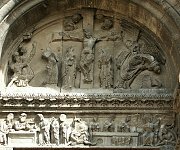 The Iconography of the Facade of Saint-Gilles-du-Gard. New York: Garland, 1977. Julie Roux [in collaboration with others]. The Roads to Santiago de Compostela. Vic-en-Bigorre Cedex, France: MSM, 1999-2004. Whitney S. Stoddard. The Facade of Saint-Gilles-du-Gard: Its Influence on French Sculpture. Middletown, Conn: Wesleyan UP, 1973.